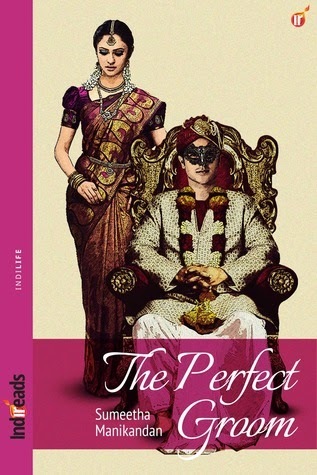 The charm of all Indian weddings is chaos, confusion and trying to look organized, when you surely are not. I have been to a few North Indian weddings, some christian weddings but unless you have seen and experienced a tam brahm wedding, you won't know the meaning of 'chaos'. For the past one month, we have been gripped by wedding fever, matching blouses, colour coding accessories, extra plastic covers and questions about 'What to wear when?' and whether one will be repeating the sari that was worn for the baby shower function of the sister-in-law's, sister-in-law's daughter! We will start with the first day event. Mehendi! 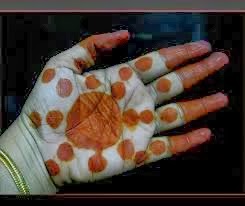 Every one above 60 years: What's this 'mehendi' 'mehendi'? Call it 'mardani' in tamil. 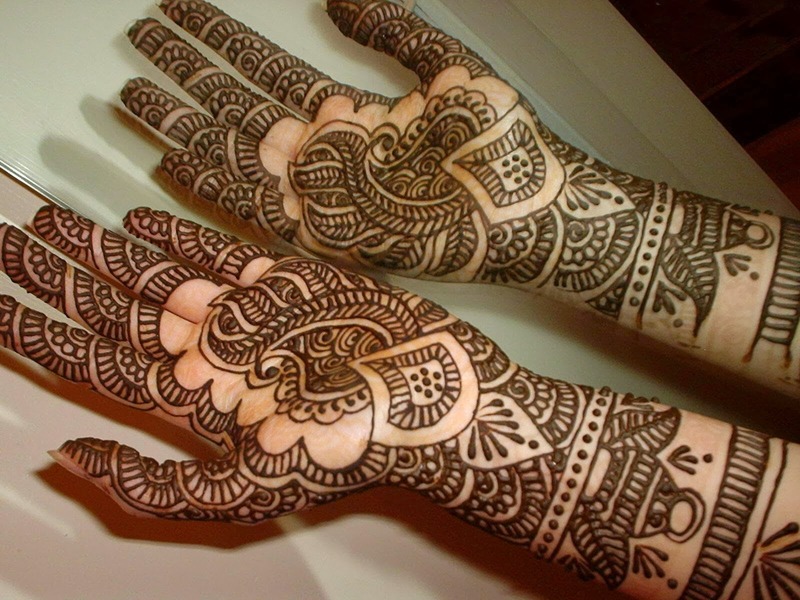 Mehendi ceremony is not about beautiful designs, peacock patterns or the colour. It is about saving your hand and feet away from doddering 80 + grandmothers, near sighted aunties and hyperactive kids like raks. After designing the mehendi for some twenty something, hands and feet he asked for the payment in tamil! By the time, we settled his payment along with offers of filter coffee, sambar rice and tamarind rice (which he refused very politely), all the 60+ women were worried, whether he got offended by their comments about his mehendi streaked hair and random thoughts about how much he earned and the merits of traditional design and the new fangled design nonsense.